Here is our analysis on questions asked under each topic. For NEET 2018, students can plan their preparation accordingly. Below are the topics, number of questions asked and corresponding marks. 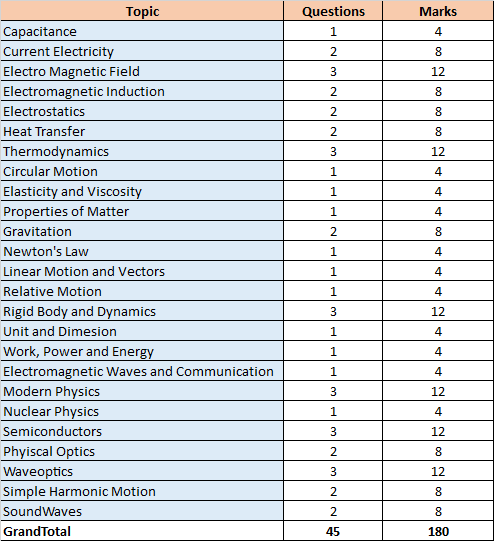 Physics had 45 questions each carrying 4 marks.